The rustic style is included in beautiful canon style which we always love. We can never forget the warmth of a home full of childhood memories, bonfire. coziness, comfort, and delicious home cooked meal. 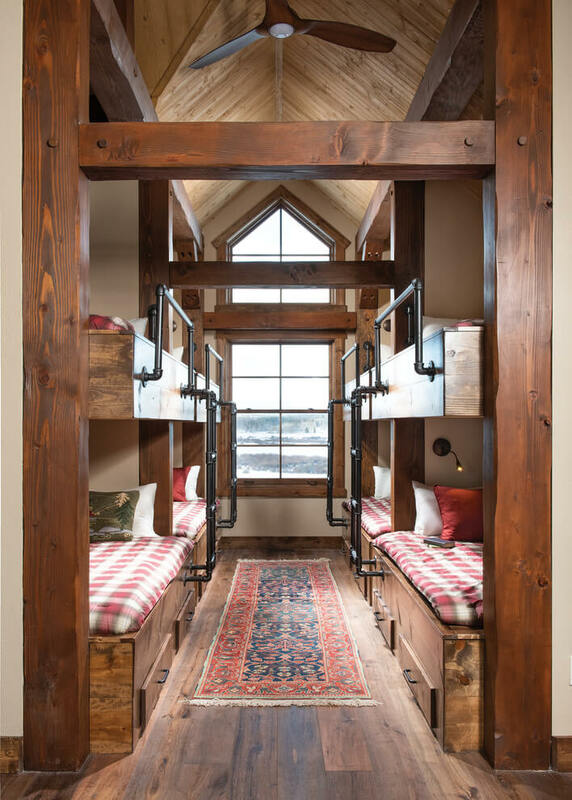 Rustic design brings in handfuls of memories and tradition of a small house. No wonder if this design has become the standard of coziness and comfort. Many people try to pull up the rustic design into their home. It is one of a good ways to bring warm to your city apartment as well as bring the childhood memories. If you want it, you can design the entire house with rustic style. 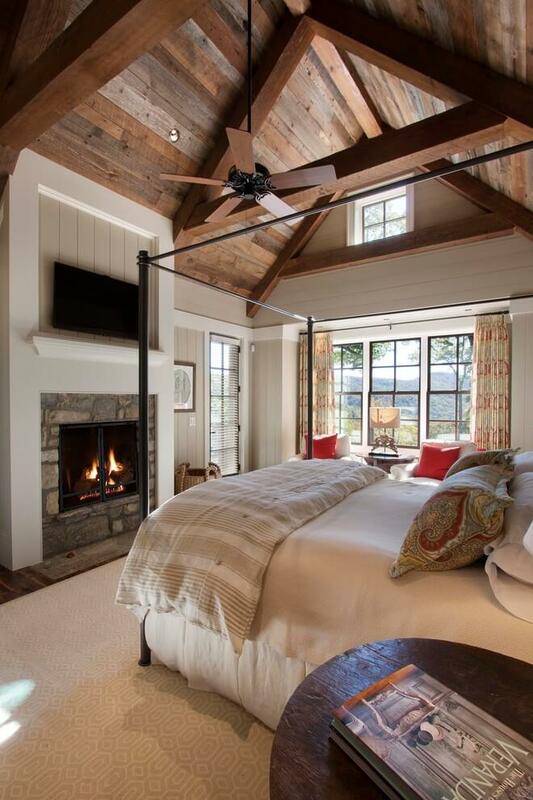 But you can only decorate the master bedroom with rustic style. 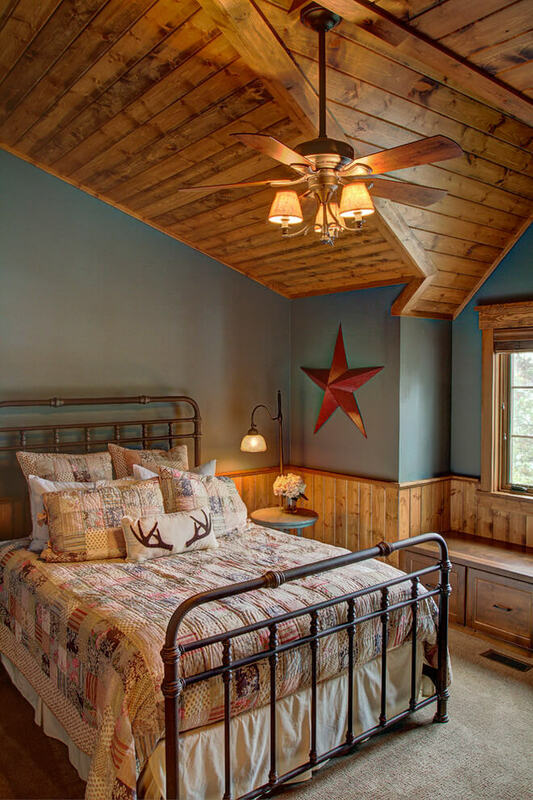 Here are the general rustic bedroom ideas and tips that you can use. 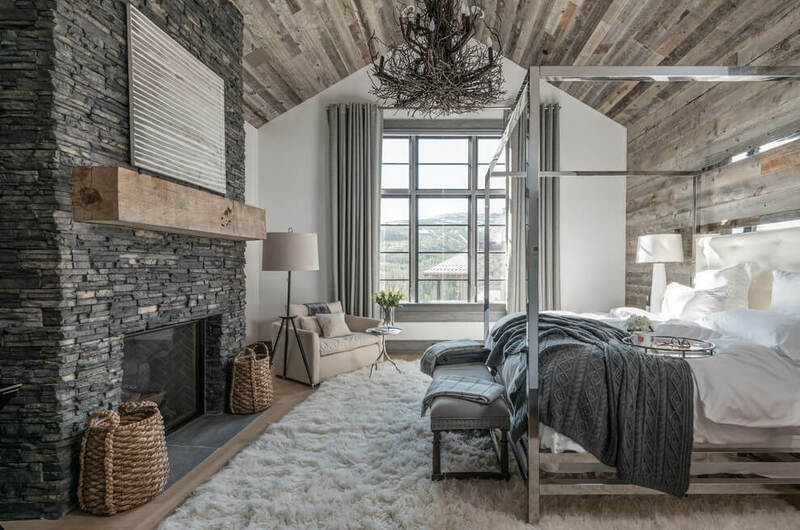 The easiest way to combine rustic style with modern design is by mixing materials. This is the best way to make the rustic style looks mocre modern and chic. 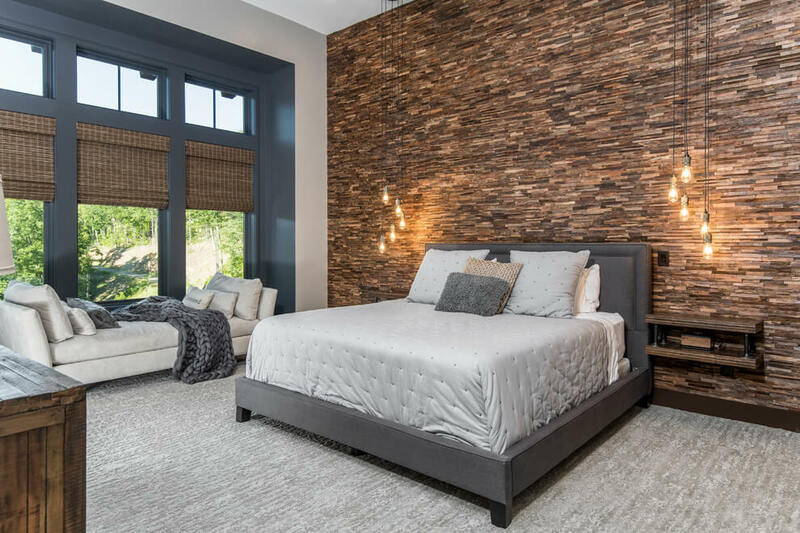 For example, a wooden headboard is beautiful on its own, but if you combine it with ceramic tiles, it looks fantastic. You can also combine the wood with copper lamp to give the industrial touch. 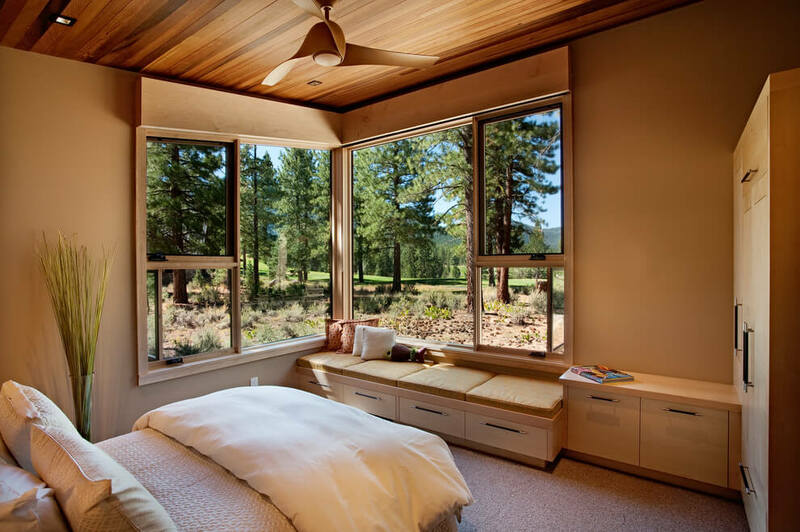 The general rule of rustic bedroom ideas is the use of woods. Woods, in its natural form, should be the first choice when it comes to rustic style. 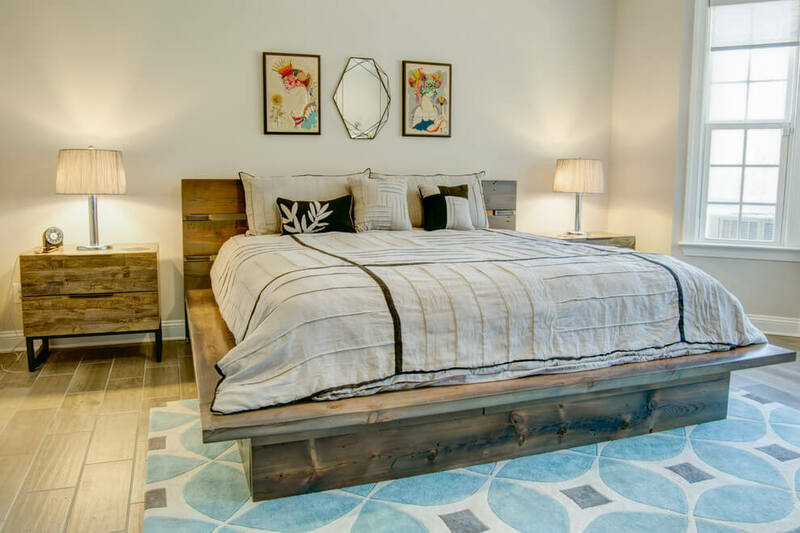 Yes, we are referring to actual wooden log which you can use for the side tables, bedroom frames, ceiling beams, and more. 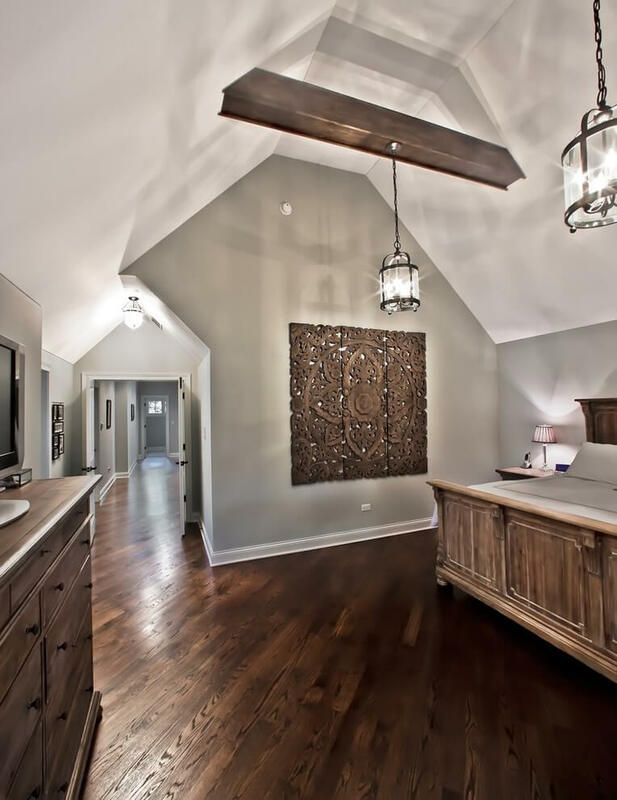 This natural wood element is very important if you want to incorporate the rustic design into the bedroom. The wood should be in its natural form and never be painted. You can also use the reclaimed wood in replace for natural wood because it adds the rustic character as well. The reclaimed wood can be used for furniture, wall, flooring, and other. Rustic design plays with texture. Different texture gives balance and contrast to the décor. You can use different elements to create different texture such as natural textile, tile, wood, and many more. The use of fabrics gives the sense of comfort and coziness. It is also a good way to add ambiance and soften the bedroom. You can use various natural textiles such as wool, linen, burlap, and also woven textiles. There are lots of ways to incorporate natural textile into the rustic décor. You can use it for bedding, curtains, and even for rug. 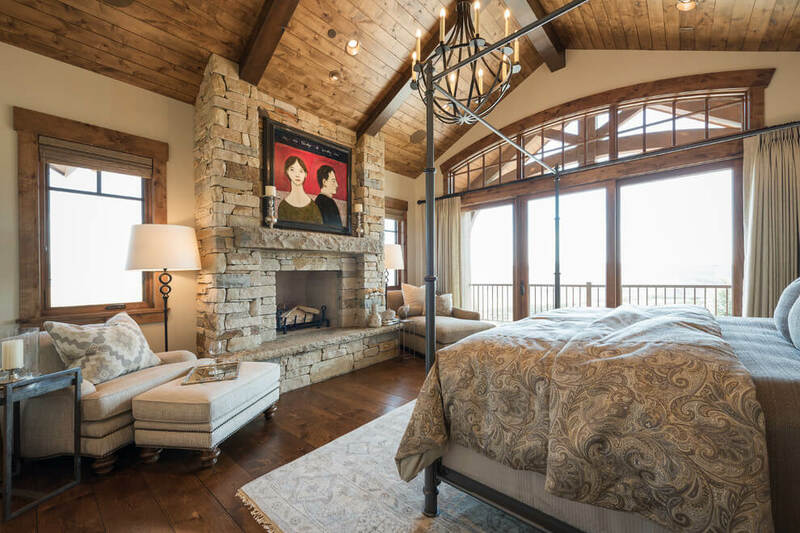 Rustic bedroom décor will not feature slim and delicate furniture. 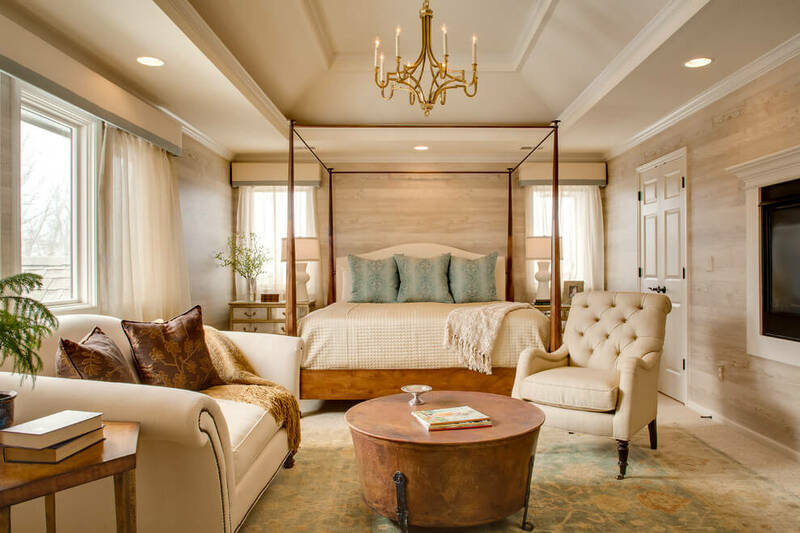 The furniture in the bedroom should be large, robust, and automatically becomes the focal point. 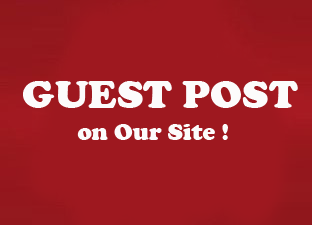 You can use big beds and dresser with robust frame which made of metal or wood. Forget the simple and fresh décor as it is not the essence of rustic design. In any kind of décor, lighting plays important role. 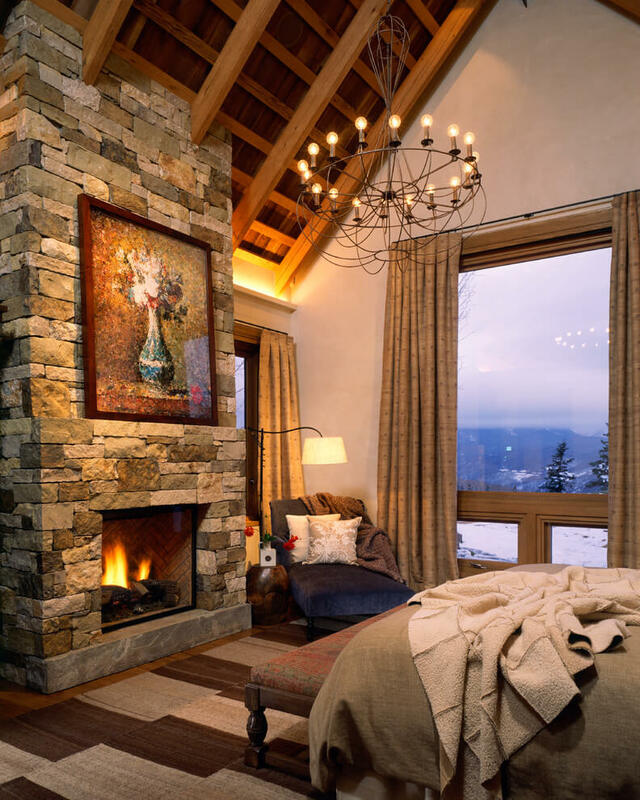 For rustic bedroom, the lighting should be warm and soft. 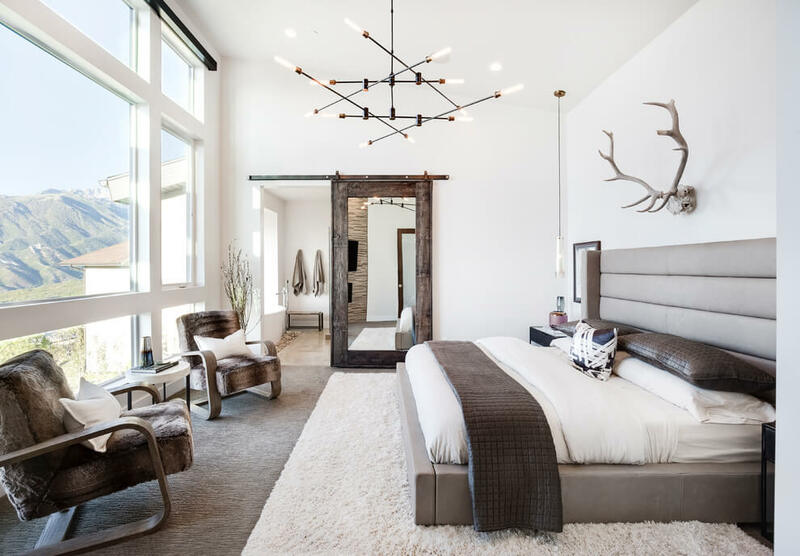 You can make use of natural light, but you can use chandeliers to add a little bit of industrial touch. When incorporating metal with rustic design, make sure to stay away from shiny things. It is rustic, so rusted metal is the best choice. When it comes to design, color palette is important. Rustic design usually contains earthy and neutral color such as brown and beige, but you can also add a little bit of black and reed. Bright and bold colors usually do not go well with this décor but you can still use it for smaller part only. 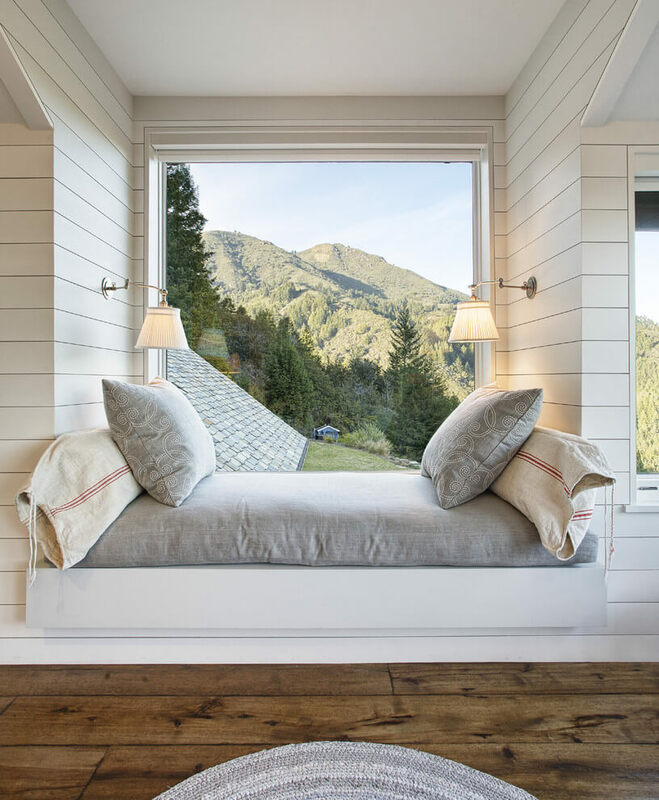 Implementing the rustic bedroom ideas is very easy. You just need to combine different elements to create different texture. 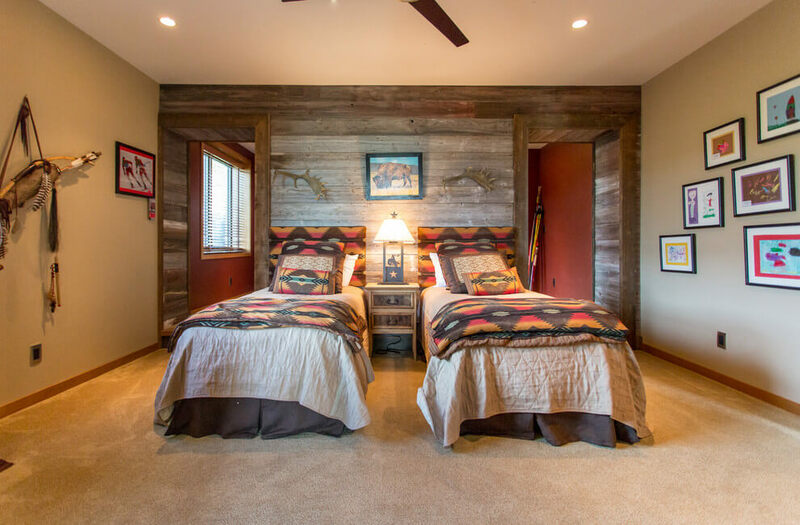 Here are some rustic bedroom ideas that you can try at home. 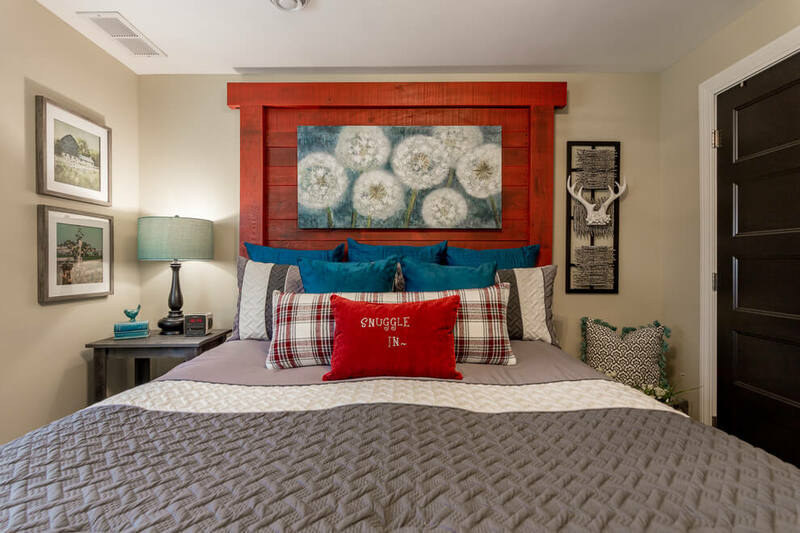 The easiest way to pull the rustic design is by incorporating wood accent. 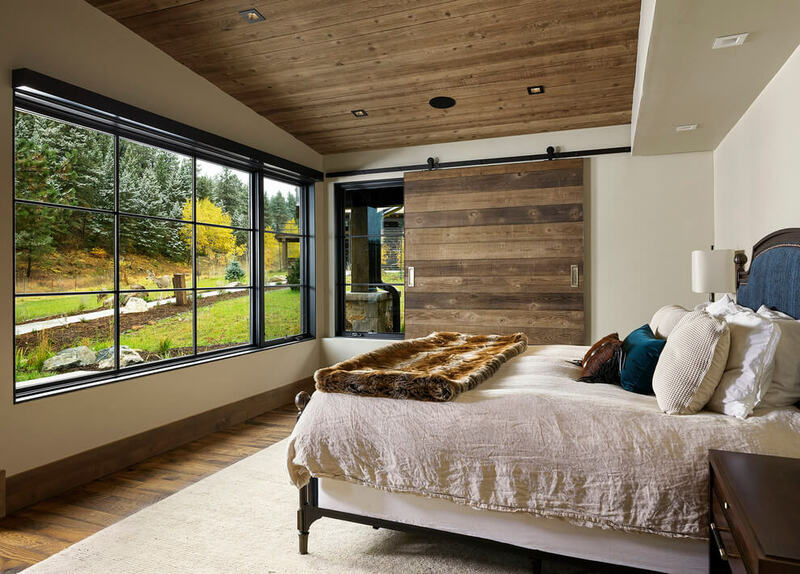 You can use the barn style of sliding door to create the rustic feel. 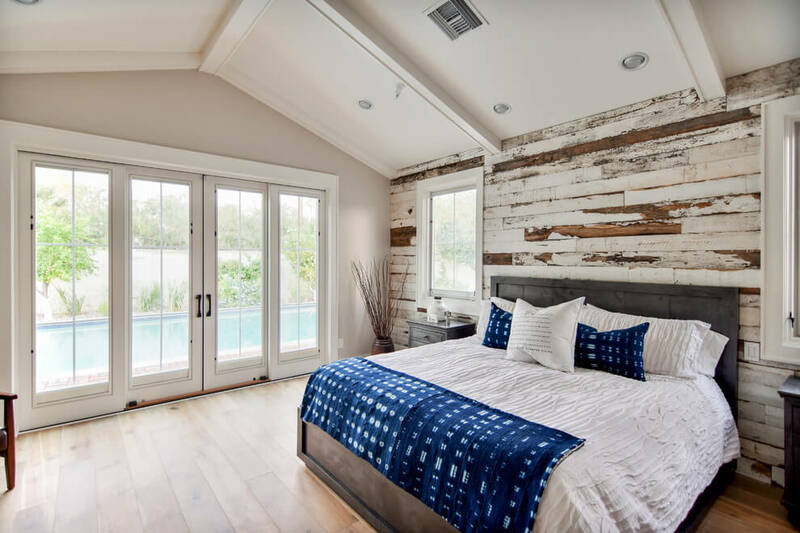 Combine the reclaimed wood door with the modern bedframe with clear and airy ambiance. The contrasting texture gives a different rustic vibes. If you do not want to incorporate the rustic style completely, you can use décor fusion. Combine the traditional and modern décor such as combine natural element with minimalist design. For example, the wood slices wall pair up with dark blue wall, you can use wooden bed frame and combine it with metal chair. 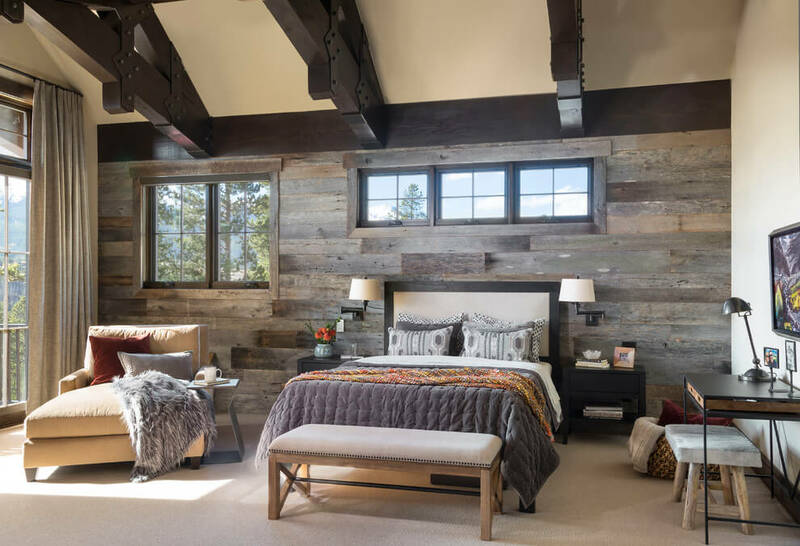 Reclaimed wood wall brings the comfort and relax vibe. 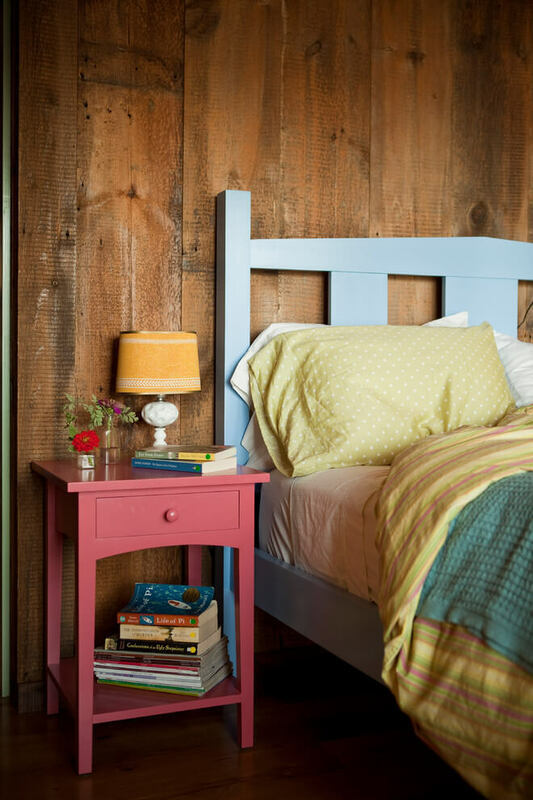 You can use the reclaimed wood for one side wall and natural paint for other walls. The reclaimed wood also gives the modern lodge feel that surely will bring back childhood memories. If reclaimed wood is too expensive for you, you can use the plywood boards. This is an inexpensive alternative to pull the wood elements for rustic design. You can use the plywood board for the wall and connect each element with nooks. Brick wall is also so rustic. If you do not want to include wood for the décor, you can never go wrong with brick wall. You can use the red brick wall or white washed brick wall for the rustic design. Combine the brick wall with natural timber for bed frame or shelving for ultimate rustic vibe. When it comes to rustic elements, most people will directly think of natural wood or weathered wood boards. 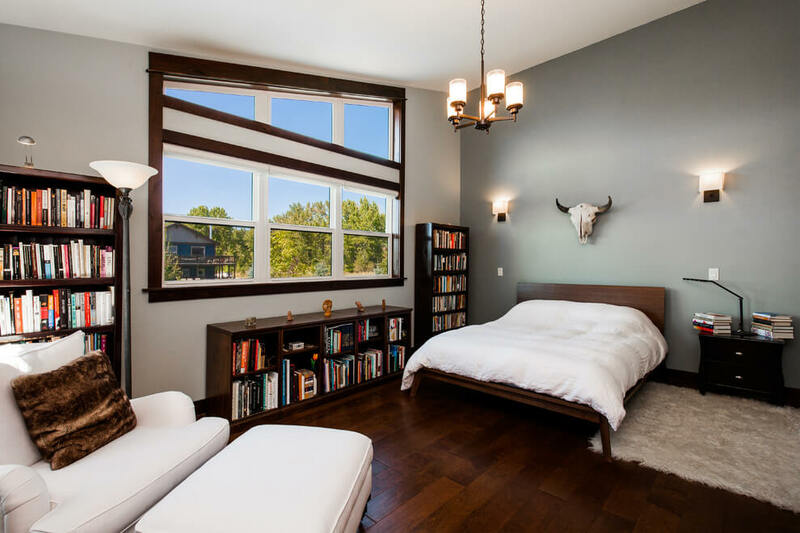 You can use the weathered wall to accentuate the wall and combine it with faux rug, wood bed frame, and such. To add more restive vibe, you can use the trunk style end tables next to the bed to give it a treasure vibe. 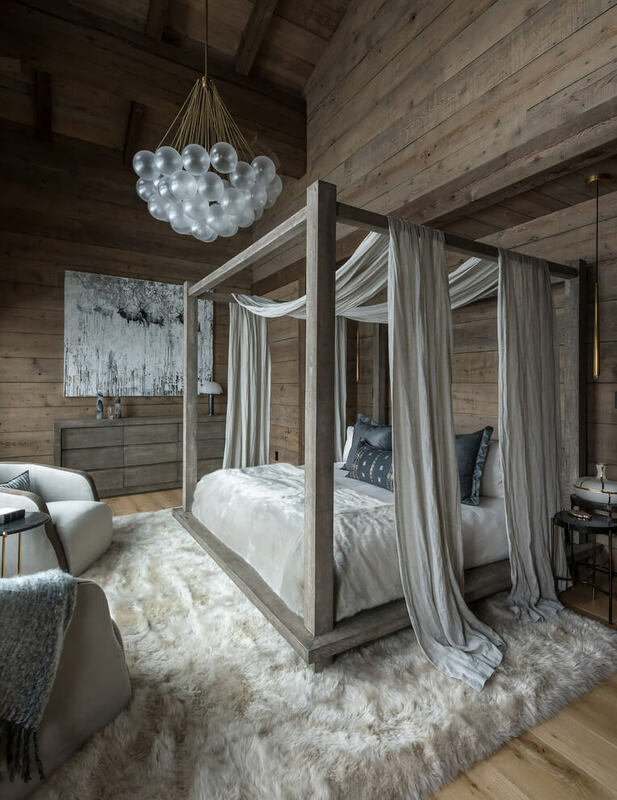 You can also combine some rustic bedroom ideas such as incorporating various textures and patterns with mix of neutral colors. 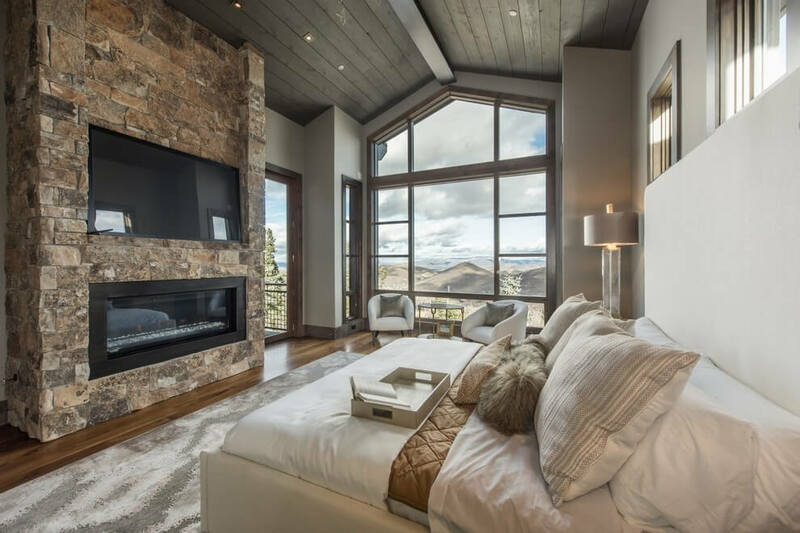 The contrasting elements in the bedroom create visual interests and dept. It also automatically creates the rustic feels. 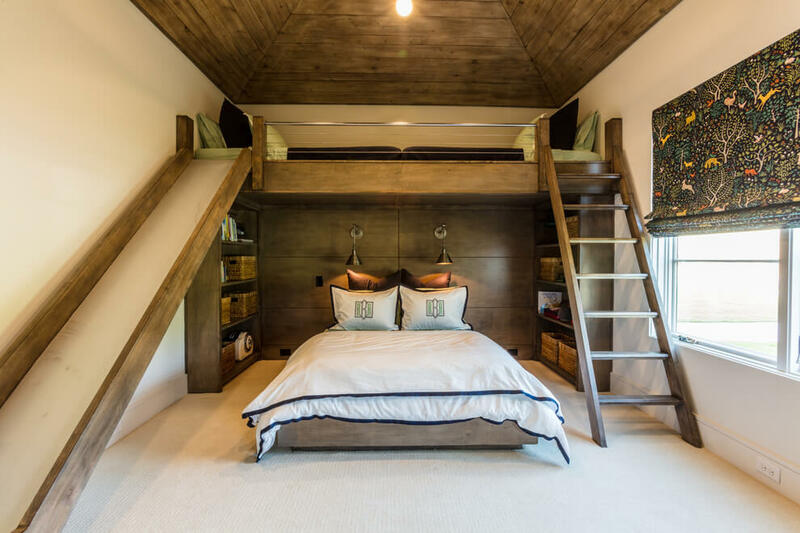 Photo by Morgan-Keefe Builders, Inc.
Photo by Shapes & Forms Architects, Inc.